Receiving posts and messages from bugs and errors which are caused by using older versions was quite the normal. People didn’t have a way to see if a new version is out unless they checked the discord server in a regular fashion. 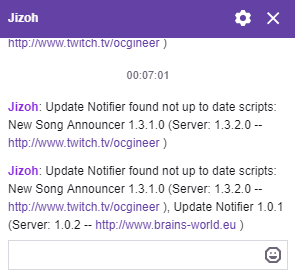 Hence I created the script “Update Notifier“. 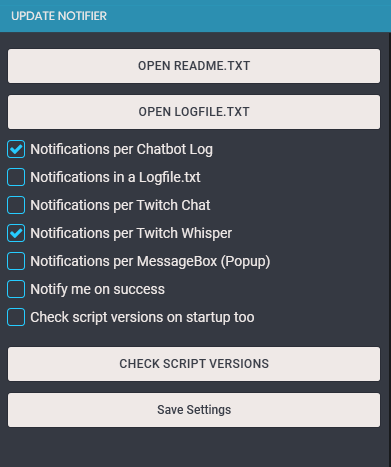 This script will notify you if a new version of a script you got installed is out and where you can download it. Extremely simple but useful in my opinion.